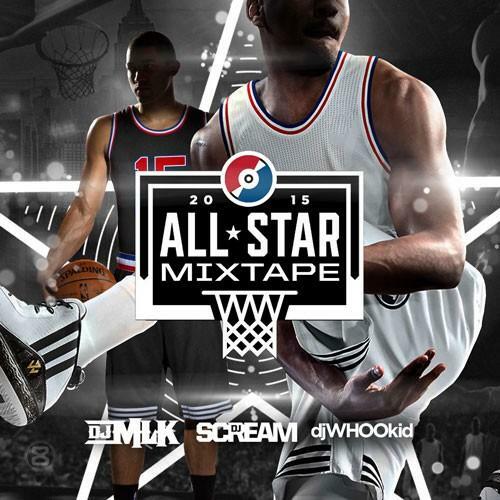 DJ Whoo Kid, DJ Scream & DJ MLK put together a mixtape for "All-Star Weekend 2015". All-Star Weekend isn't just for athletes. Every year, the music world has become increasingly involved in the happenings in and around the All-Star game, and 2015 is no exception. A couple days ago, MMG gave us their own mix to prep us for the weekend's festivities, and today, DJ Whoo Kid, DJ Scream & DJ MLK have put together a compilation just in time for you All-Star party. The mix of new and previously released tracks includes music from Kid Ink, Plies, Rick Ross, O.T Genasis, The-Dream and more.